WhatsApp is finally pushing the Mark as Read functionality on its latest beta version for Android. The Instant messaging platform had previously teased the feature a few days ago. 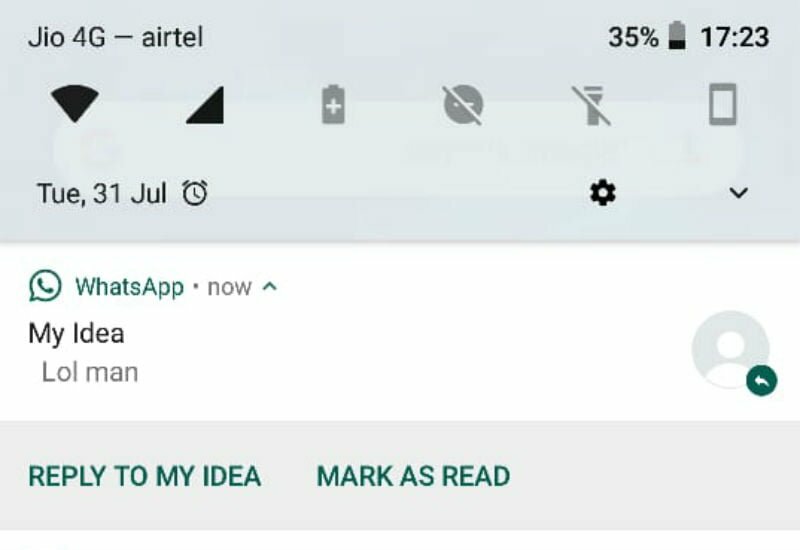 The Mark as Read button on WhatsApp Beta finds its place in the notifications panel where it will allow the users to mark a particular user’s messages as seen without needing to open the app. The Mark as Read button will be placed right beside the Reply option in the notifications panel. The feature is going to be very easy to use as it will automatically show up on the notifications panel whenever a user receives a certain amount of messages from a particular user. The functionality will allow the users to prevent the notifications from racking up on their panel throughout the day. Also, it will eliminate the need to open the WhatsApp application to see the messages. How to Get Mark as Read Feature? Since the update which carries the Mark as Read feature is only limited to beta testers now, users who want to take a look at this new functionality will need to navigate to Google Play store and open WhatsApp’s beta testing page. You will need to request access to WhatsApp’s beta testing and program by clicking on the ‘Join’ button. Alternatively, you could also download the beta version 2.18.232 of WhatsApp using a mirror link. For users who’d instead not become a beta tester for fear of bugs and stability might have to wait for a week since the feature is expected to follow to the stable version of WhatsApp in a week’s period. WhatsApp has also recently launched the new ‘Dismiss as admin’ and Group calling feature on the platform only a few hours ago. The latest updates and features will also closely follow the rollout on iOS as well.